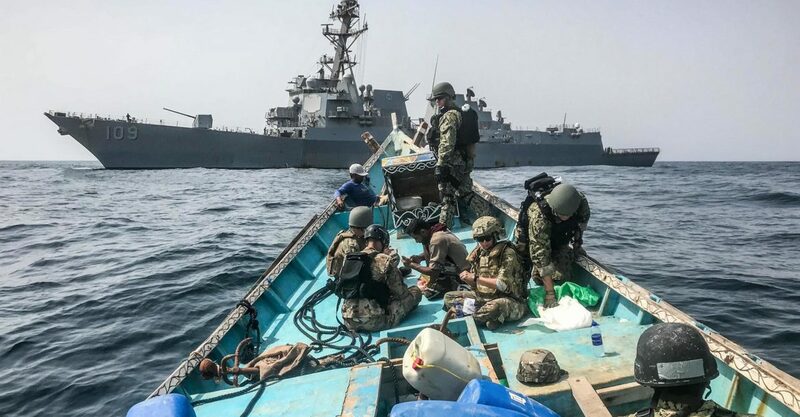 United Nations experts are working to establish the origin of a weapons shipment seized off of Yemen’s coast by a U.S. Navy vessel in August. “U.N. experts with responsibilities in the area have carried out an inspection of the weapons seized and will report to their respective Security Council Sanctions Committees in due course,” a U.N. spokesperson said on Friday, October 26. The commander of U.S. 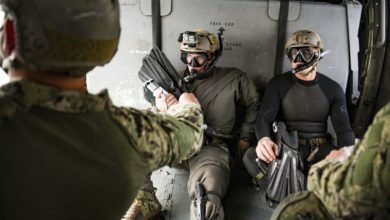 Naval forces in the Middle East, Vice Admiral Scott Stearney, said on Thursday that U.S. officials had conducted a preliminary examination of the weapons, and they were waiting for the results of investigations by the U.N. team, who inspected the assault rifles aboard the USS Jason Dunham on Thursday, The Washington Post reported. 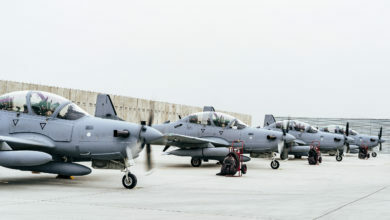 Reporters were provided access to the weapons on Wednesday, the Associated Press reported. 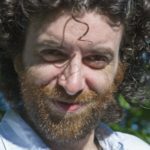 “What the U.N. inspection team does is it allows us to have a level of validation that maybe is accepted on a broader scale,” Stearney told reporters, adding that team members have expertise in weapons from Iran, Yemen and Somalia. According to the Post, Commander John Hamilton said the ship’s helicopter had taken video of a skiff and a dhow transferring cargo at sea at night. That video, recorded on August 27, was published on the U.S. military’s online media distribution service Dvids on August 30. The following morning, small boats from the Dunham intercepted the vessels and discovered the weapons. Navy Captain Adan Cruz, commodore of U.S. 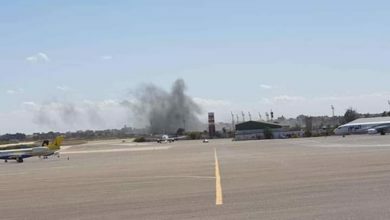 Naval Forces Central Command, said it was likely the weapons were being shipped from Somalia to Yemen, the Associated Press reported. 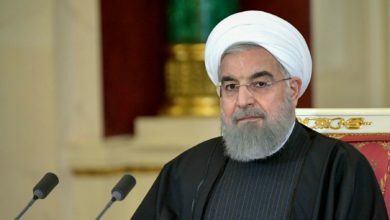 U.S. officials suspect Iranian support for the shipment, the Post reported. 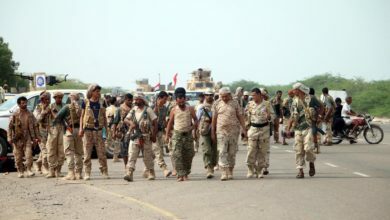 The United States has repeatedly accused Iran of providing military aid to Yemen’s Houthi rebels, who in 2015 forced the Saudi-backed Yemeni government out of the capital Sanaa. 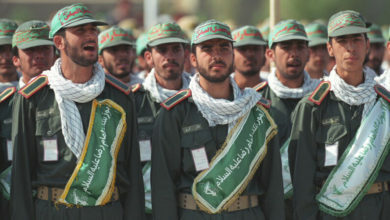 Iran says it has only provided political backing to the Shiite rebels. The U.N has identified missiles used by the Houthis as Iran-made, but has not found conclusive evidence that Tehran delivered them. The August seizure is the fifth declared by various navies since 2015, according to CENTCOM. September 27, 2015 –The Royal Australian Navy’s HMAS Melbourne intercepted a dhow carrying 75 anti-tank guided munitions, four tripods with associated equipment, four launch tubes, two launcher assembly units and three missile guidance sets. 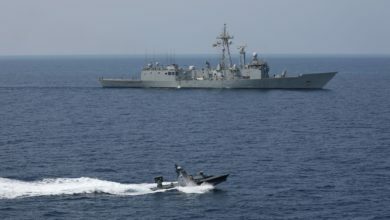 February 27, 2016 – The Royal Australian Navy’s HMAS Darwin intercepted a dhow carrying nearly 2,000 “AK-47 assault rifles,” 81 rocket-propelled grenade launchers, 49 PKM general purpose machine guns, 39 PKM spare barrels and 20 60mm mortar tubes. March 20, 2016 – French Navy destroyer FS Provence seized almost 2,000 “AK-47 assault rifles,” 64 Dragunov sniper rifles, nine anti-tank missiles and six PK machine guns with bipods. March 28, 2016 – U.S. Navy coastal patrol ship USS Sirocco (PC 6) intercepted a dhow carrying 1,500 AK-47s, 200 RPG launchers and 21 .50 caliber machine guns. 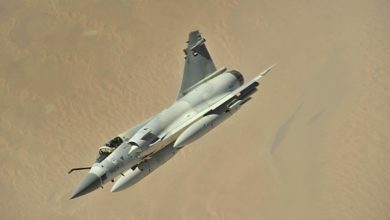 U.K.-based Conflict Armament Research, which works on the ground in active armed conflicts to document weapons at the point of use and track their sources back through the chains of supply, investigated seizures by the French and Australian navies. The research organization said it obtained verified photographs of a cross-section of the weapons seized by HMAS Darwin and FS Provence, and received a complete list of serial numbers of weapons from the FS Provence seizure. 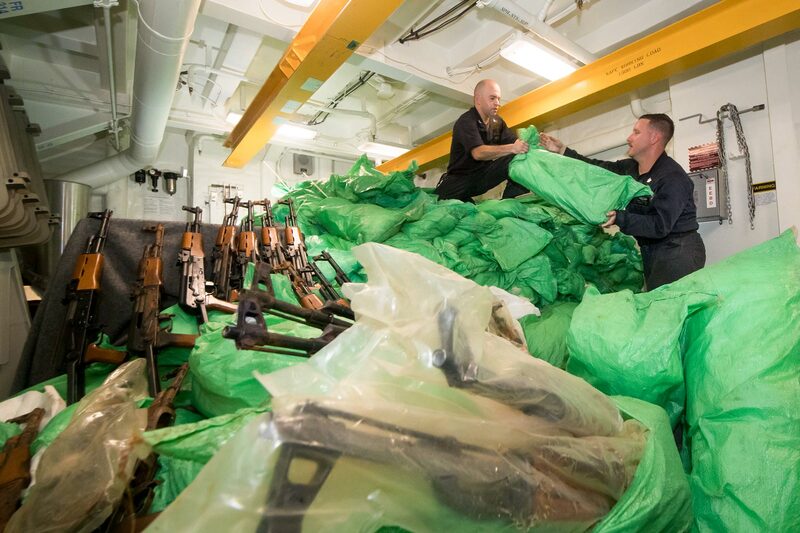 The HMAS Darwin seizure included Bulgarian-, Chinese-, Romanian-, and Russian-manufactured AK-pattern assault rifles. CAR examined photographs of two of the RPG-7-pattern rocket launchers seized, and concluded that they were manufactured in Iran. The dhow’s GPS navigation system indicated it was bound for Caluula, Somalia, CAR said. That seizure also included “Iranian-manufactured Hoshdar-M (SVD-pattern) sniper rifles,” CAR concluded. French government sources indicated the dhow, which was intercepted off the coast of Oman, was destined for Somalia for possible transhipment to Yemen, CAR said. The CAR report also notes that FS Provence and HMAS Darwin both seized suspected North Korean-made RPD-pattern light machine guns, and that weapons from the same serial number sequence were found, suggesting that weapons from both seizures derived from the same original consignment. 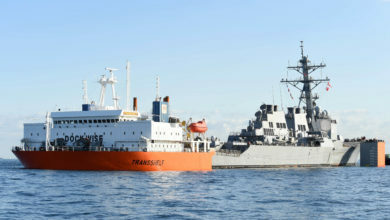 However, the U.S. military on October 12 denied CAR access to inspect seized weapons on USS Jason Dunham, despite using the organization’s prior research to point to a link between the weapons and Iran. CENTCOM also denied CAR access to the March 2016 USS Sirocco seizure.